How Far is Puranik City H? Puranik City H is a meticulous structure by the top builders in Mumbai, Puranik Builders Pvt. Ltd. and it offers you thoughtfully crafted apartments for sale in Thane West, Mumbai. These apartments are well planned and offer you a premium lifestyle. A team of experienced engineers and architects have put together their efforts to offer you a residential space, which is one of its kind. 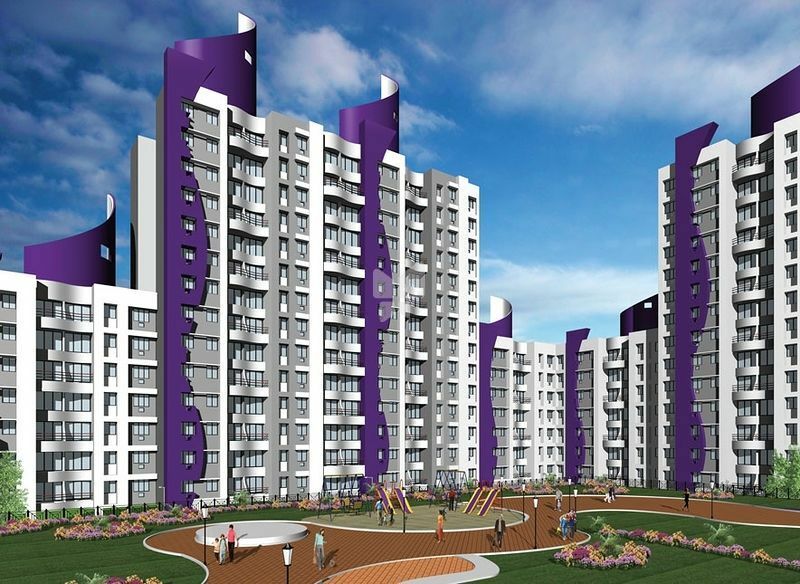 The project offers you ready to occupy 1BHK with sizes ranging from 665 - 721 sq. ft. as well as 2BHK with sizes ranging from 944 - 1017 sq. ft. and 3BHK with a dimension of 1122 - 1193 sq. ft. which are suitable for premium living and are well - equipped with modern day amenities, optimal natural light, and well - ventilation. These apartments will rejuvenate your energies and provide you with a balanced lifestyle. You will be a guest to world-class amenities, along with beautiful interiors of unmatched quality. If you ever wished to live a lavish life, be a part of Puranik City H.
Green marble window frames to all windows and Door frames to toilets. Ceramic antiskid tiles for toilets flooring and ceramic tiles dado up to 7’O” height. Ivory Glazed Tiles flooring and dado up to 7’ height to W.C. Ceramic tiles dado to kit Platfor.m up to 7”O”. Black Granite Kitchen Platform with S.S. Sink and modular kitchen below kitchen platform. Coloured anodised aluminium-sliding windows with plain glass to all rooms and toilets W.C. and Dry yards louvers. French window in living room. Additional mosquito net shutter in each window. Exhaust fan provision in toilet, W.C., bath room and in kitchen. Concealed Plumbing and Jaquar make C.P. Fitting and toilet accessories like towel rod ,napkin holder etc. Concealed electric wiring with modular switches. C.C. T.V. and intercom system. Flush Door with Safety latch, aldrop, handle, peephole and Electric Bell on main door. Decorative safety door to main door. Oil bound Distemper to all internal walls. M.S. box grill to all windows. POP cornice in living room.